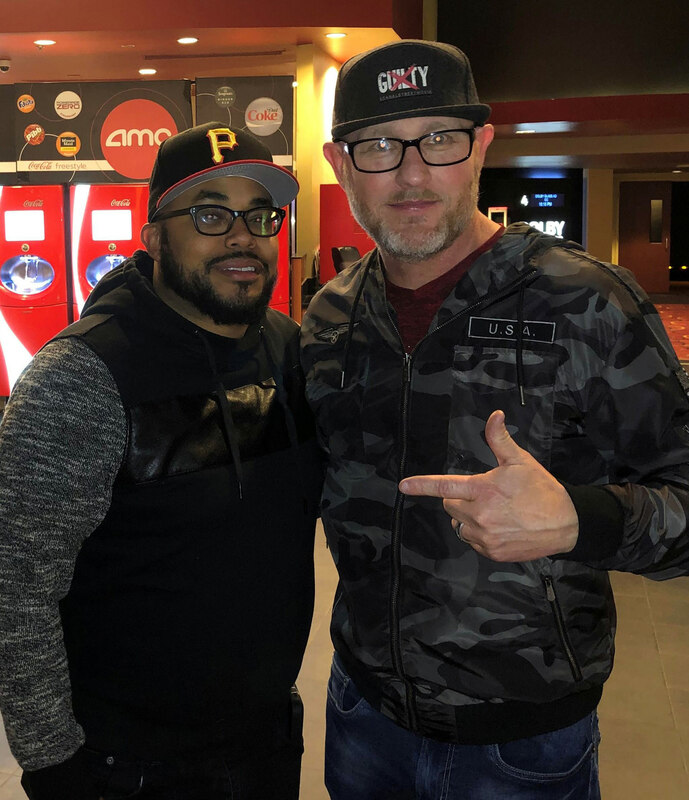 Amir Windom (left) and executive producer Kevin Mullens at a recent screening of the movie “Canal Street” in Tallahassee. His work has produced seven Grammy awards. He’s produced music for several movies. 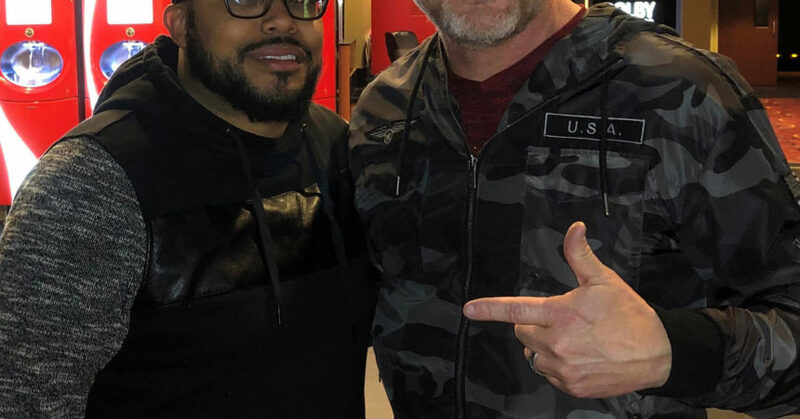 Amir Windom is definitely big-time in the entertainment industry. All that might have eluded him if it weren’t for his determination to be the best music producer. Windom, who graduated from FAMU in 2008, returned to Tallahassee with a sampling of his latest work – the movie “Canal Street.” The special screening last Tuesday drew a packed audience at AMC Theater. Windom, 34, produced the music for the movie and is one of the executive producers as well. What he paid for getting this far in the business was a lot of time commuting just for the opportunity to hone his skills. While working on a degree in public relations at FAMU, Windom refused to abandon an internship that led to his status as a top-notch music producer. That meant commuting from coast to coast at times. He endured, though. “Canal Street” is a controversial, yet faith-filled film that penetrates the spirit. Windom described it as an entertaining spiritual retreat that highlights fatherhood. It was another opportunity for him to prove that producing music for a movie is his niche. “The music is always going to be my favorite,” he said. “I don’t want to work on a movie if I can’t do the music because that’s what’s fun to me and I love creating the musical heartbeat of the movie. “Canal Street” was written in 2005 by Director Rhyan LaMarr. However, its relevance played out on the big screen. There were at least 10 sold out showings in Tallahassee since it was released on Jan. 18. Executive producer Kevin Mullens, a Crawfordville native, also attended the Tallahassee screening. Filmed in Chicago on a $2 million budget, it’s playing in about 100 theaters across the nation. “Canal Street” centers the life of an inner-city teenager whose world crashes when he is wrongfully accused of a murder involving his newly found classmate and friend. Aside from the deeper definition of the term “Canal Street,” the film depicts race, prejudice, and public perception. It is intended to improve race relations and instill the subject matter of faith, Windom said. “It was such a moving experience,” said Carmen Cummings, one of many FAMU alums who saw the screening. “There were so many profound and provocative messages that relate to life experiences that we all have. Windom calls “Canal Street” the most soulful film he’s ever worked on. “Comedies are easy; just make people laugh,” he said. “This movie we really had to create a story that we wanted people to talk about. We wanted people to go home and feel different. We wanted them to feel a change in their spirit and soul. The movie was especially appealing to Anton G. Elwood, pastor of New Mt. Zion AME Church. Elwood, who has a huge millennial following, said he expects the film to have a worldwide impact. Elwood also is one of the executive producers of the film. “Canal Street” features many big-name celebrities and media personnel. It sets the bar for a Christian-based film with powerful and relatable content set to promote great conversations. Windom was obviously pleased that the message in the film is reaching its audiences.